يقع Tribeca Apartments في منطقة مشهورة للغاية في المدينة. هذا الفندق هو من الخيارات الشائع بين المسافرين. يقع مركز المدينة المثير على بعد 1.5 km فقط. يقع هذا الفندق الحديث على مسافة قريبة من المعالم السياحية الشهيرة. إن الخدمات التي يقدمها Tribeca Apartments تضمن للنزلاء إقامة مريحة. إن واي فاي مجاني في جميع الغرف, واي فاي في المناطق العامة, صف السيارات, غرفة عائلية, جولات هي جزء فقط من الخدمات التي تميز Tribeca Apartments عن باقي الفنادق في المدينة. ادخل إلى واحدة من الغرف 63 وتخلص من عناء نهار طويل بمساعدة مجموعة كبيرة من الخدمات كمثل تلفزيون بشاشة مسطحة, رف للملابس, بياضات, صوفا, مناشف الموجودة في بعض الغرف. يقدم الفندق مجموعة رائعة من الخدمات كمثل حوض استحمام ساخن, مركز للياقة البدنية, ساونا, مسار جولف - ضمن 3 كم, حمام سباحة داخلي، لجعل إقامتك تجربة لا تنسى. مهما كانت دواعي سفرك فإن Tribeca Apartments هو خيار ممتاز لإقامتك في المدينة. يعمل مكتب الاستقبال من الاثنين إلى الجمعة: 08:30 صباحًا إلى 04:30 عصرًا، السبت: 09:00 صباحًا إلى 11:00 صباحًا، ويغلق في أيام الأحد والعطلات الرسمية. إذا كنت تتوقع الوصول خارج ساعات الاستقبال المذكورة بعد استلام تأكيد الحجز من أجودا، من فضلك اتصل بالعقار مباشرة قبل الوصول بـ 24 ساعة على الأقل حتى تتمكن من معرفة التعليمات الخاصة بالحصول على المفتاح. يرجى الاتصال بالفندق مباشرةً لترتيب إجراء انتظار السيارات في الموقع. Came back to brizzie after 2 yrs for a short 3 days spent. Tribeca was a great centralize location to stay at when exploring the whole of brizzie. Great view of the city skyline to relax at after a trying day shopping & exploring. Place is very clean. Provided with clean towels & toiletries. Fully equip kitchenware & utensils. Has a washer & dryer to do linen washing. Had to pay for carpark per night (didnt have too). Allowed 4hrs stay at the visitor lot for loading & off loading otherwise street parking is free after 5pm onwards. Mom loves the coffee sashet provided. The value for money to stay at Tribeca is bar none. 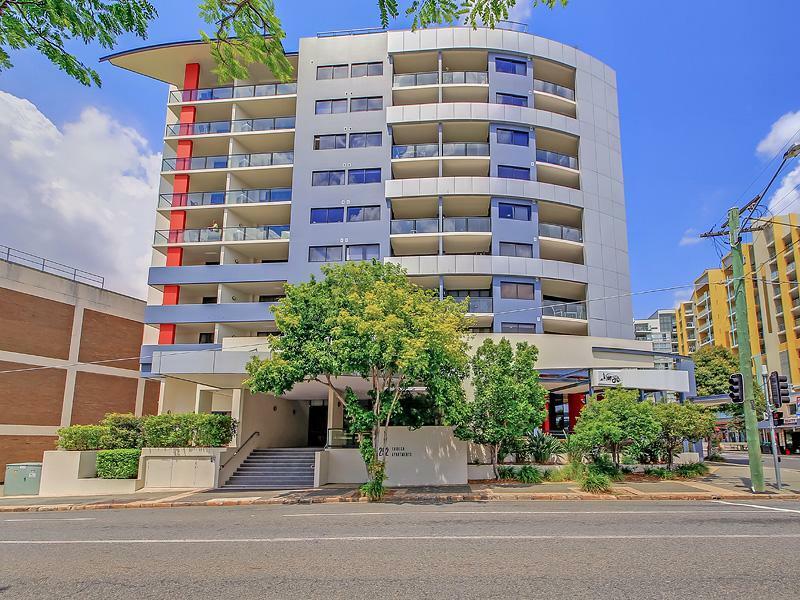 It is a modern block of apartments and I was upgraded to a 2 bedroom unit on the top floor with great views and the facilities and location were absolutely fantastic. This is certainly the best value for money in Brisbane that I could find and will certainly be returning on my next Buisness visit for sure. A true home away from home in style and comfort . The staff were very helpful and a pleasure to deal with. THIS PLACE IS A 100% recommendation. It's at least the 10th time I'm staying in the Tribeca Apartments, and as always it was the right choice. 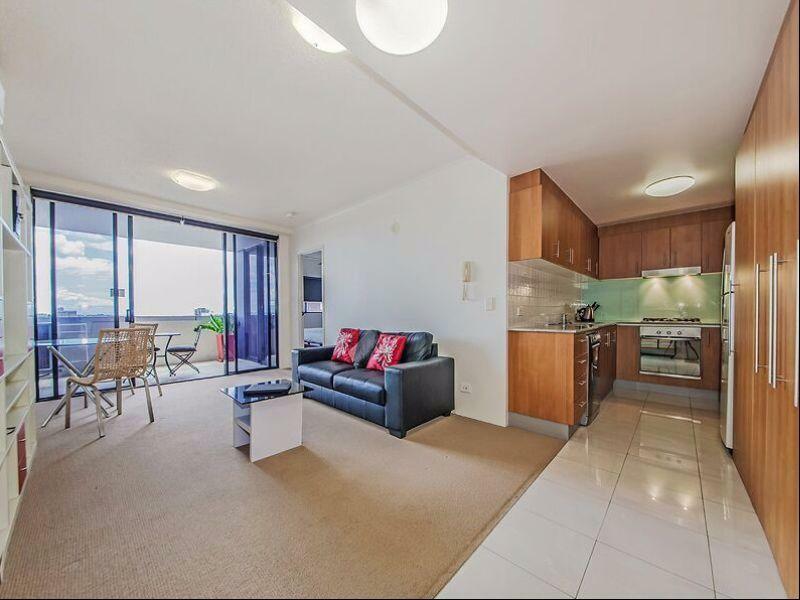 The location is good - its mot in the middle of the CBD, however, it is 10 mins slow walking from there. It is very close to the Valley, which is the most alive area of Brisbane after 17:00. The price was ridiculous low in comparison to the two bedrooms apartment I got. Big and well equipped kitchen will allow you to cook whatever you want. agora did not tell car park need pre register, we called for car park and willing to pay, the first customer service said no way, we need to find ourselves, but the register letter listed it is applied for walk-in. We called again, the second customer service help to register and we can park inside car park. This is a very bad experience. moreover the room lighting is too dim, the carpets feels old and dirty, kitchen not clean. Room is very very big, for 2ppl is over large. it is big but nothing is noted. If you want terrible internet and a very cheap thin mattress this is your place. Other facilities are good and location is good for this price. Nice comfortable place to stay in great handy location, relatively clean, all staff were very nice. Some lights were out, one hand basin was blocked and cleaners didn't stock up on toilet paper and dish washing liquid but when we asked it was provided ASAP. Other than that price point, location and overall product was pretty good and I would stay there again. There’s no aircon in our room. We had to leave our door open and put the aircon on in the living room. It’s summer now and we were pretty much sweaty the whole night. Wouldn’t come back unless it’s winter or there’s aircon in other rooms. Great spot and facilitates. Our room was partly renovated but we only used it to change and sleep in so it suited us fine. The price was accordingly cheap. Staff were friuendly and helpful and th e rooms were clean. Fantastic views fr om the higher levels. Decent location not to far from city. Clean facilities. Nice apartments. Pool/sauna/gym all good. The oven in our apartment had no dials on the oven knobs they had worn off which made it difficult to use as we were wary about setting off the smoke alarms. We emailed the apartments and they sent us pictures of the dials so we were able to use the oven. Fully equipped kitchen, dish washer, washing machine and dryer. Woolly is just a 5 min walk away. Queen Street Mall 15 mins by foot. The only setback was the management charges A$20 per day for parking. Roadside parking is A$1.60 per hour but the times are restricted. Overall a great place to stay and definitely value for money relative to the location. This was a great place to stay in Brisbane. 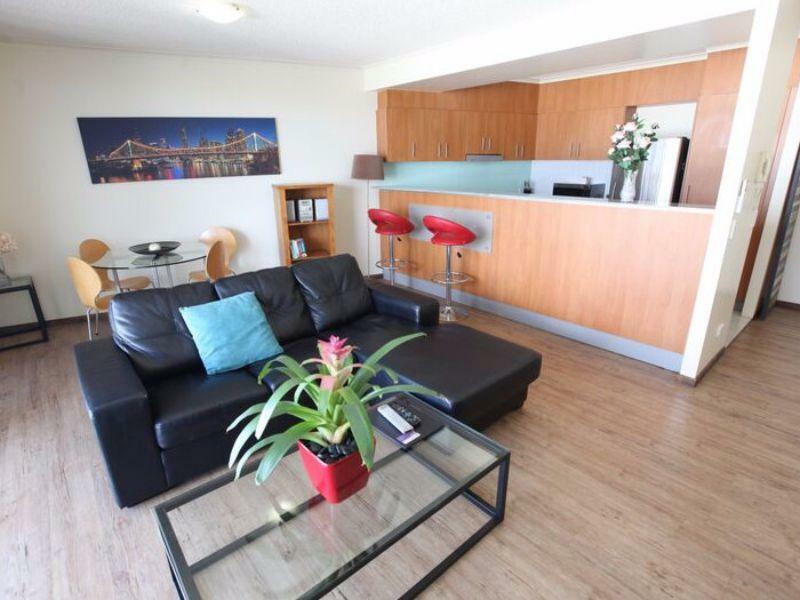 Very spacious, equipped unit with fabulous pool, spa and gym facilities. Fantastic view and an easy 10min walk in to town. Obviously it is in the middle of the city so the traffic noise was noticeable-especially peak hour. I did find the bed quite hard so perhaps wouldn't suit for a week stay but overall we had a very lovely stay. Would be perfect for longer stays, Woolworths and IGA in walking distance. For short stays there was a cafe and restaurant across the road. Easy walk to Queen St Mall (all downhill) but caught an Uber on the way back! Pool was lovely. I have been staying at The Tribecca Apartments in Brisbane many times. There are much better hotels, however this place is not bad. The two main reasons I like to stay there are: Location - Spring Hill is a nice central suburb - just on the edge of the CBD - It means you are staying in a good place and avoid the noise and traffic of the city. Price - usually as long as you book in advance it's very cheap. I really believe the owners should do something with the impossible smell of the carpets. Quiet, comfortable, convenient to city, secure. Staff were friendly and accommodating. Halos Restaurant was good next door and good discount for people staying at Tribeca. Their Brushetta was really nice. Good view from balcony. Bed comfortable. The air conditioner could have been a bit more modern and quieter. It was really hot when we were in Brisbane. Didn't know how to use the phone in the apartment. Being given two keys would have been good for us two instead of one pair. Foxtell was good on TV. Like most hotels in Brisbane, Tribeca prices fluctuate wildly according to what is on in Brisbane at the time. When there is nothing happening in Brisbae the prices are reasonable compared to the ridiculous prices charged by other hotels of the same standard. the only bad thing i have to say is that you dont cater for a family of five. We paid extra for a roll away bed wich was not worth the extra $50 per night. My youngest child (6yrs) complained about back problems arrising from the very cheap thin mattress that was on the bed. His weight was enough for him to feel the timber slatts underneath the mattress.